Spanish statesmen who flourished in Aragon in the latterhalf of the thirteenth century. Joseph was minister of finance to King Pedro III. (1276-85). Solomon ben Adret refers to Joseph and Moses as the "two great princes." The incident which brought them into notice is connected with the history of one of those informers from whom medieval Jews suffered so much and on whom Jewish law was so severe. About the close of the reign of King James I. of Aragon (1213-76) there appeared at Barcelona an informer, favored by the authorities, who became a source of danger to the Jews of Aragon. Pedro III., on ascending the throne, summoned the representatives of the Jewish communities into his presence to answer certain charges. Knowing that these could emanate only from the informer of Barcelona, the Jews entreated him to withdraw his charges, at least on this occasion; but the renegade refused to be turned aside from his purpose. At this moment Joseph Abrabalia interceded with the king, exposing the evil designs of the informer and requesting his punishment. Joseph's intercession met with entire success. Pedro III. caused the informer to be seized and delivered over to the Jews. Jonah of Gerona (Geronda), and later also Solomon ben Adret, investigated the case. They condemned him, though with reluctance, and the man was executed by the state authorities about 1281. It seems that this drastic measure, which was prompted chiefly by Joseph, did not meet with unanimous approval, and three years after the latter's death many gave vent to their resentment. This bitter feeling caused the leading men of Gerona (Geronda) to ask Solomon ben Adret to revise the whole case. Adret unreservedly approved of the action of Joseph, and in order fully to appease the agitated communities, he also laid the matter before Meir of Rothenburg, who fully concurred in his decision. 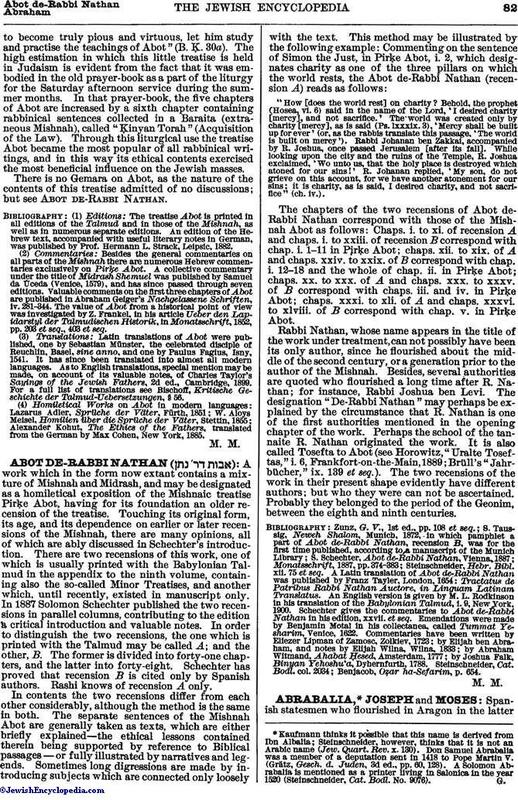 These responsa make it possible to ascertain the date of Joseph's death, on which the authorities are greatly at variance. Steinschneider, Zunz, and H. Brody place it in 1324, which is quite impossible, as Adret, who died not later than 1310, mentions Joseph Abrabalia with the memorial formula . D. Kaufmann places the date of death at 1283, which is more in accordance with Adret's statements. 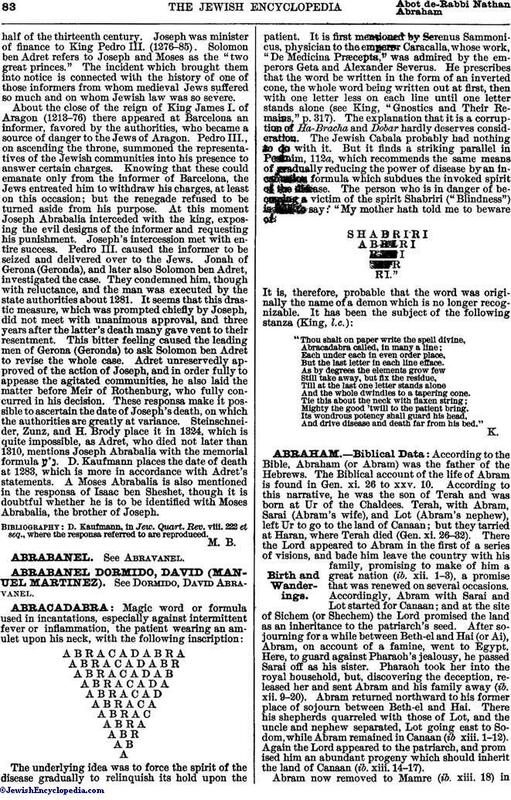 A Moses Abrabalia is also mentioned in the responsa of Isaac ben Sheshet, though it is doubtful whether he is to be identified with Moses Abrabalia, the brother of Joseph. D. Kaufmann, in Jew. Quart. Rev. viii. 222 et seq., where the responsa referred to are reproduced.